Today I am looking forward to spending the day amongst friends. Some I have known for a long time, some I haven’t seen for a while, and others that I consider friends yet I have never met them face-to-face – until today. So where am I heading off to? Balgeddie House Hotel – Sunday 7th May, 2017. 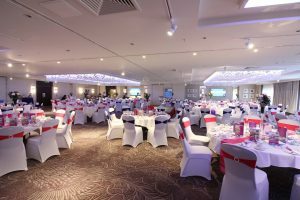 Following the hugely successful event at Dalmahoy Hotel & Country Club in November, this is the first event hosted here in Fife. We will be enjoying an Afternoon Tea with a glass of prosecco and Fashion Show hosted by the lovely Zara Janjua from STV Grampian & Edinburgh. Without Jak the event today would not be happening, but sadly it is the very fact that Jak is not with us that brings us together. Today we are recognising and celebrating a young lad who is no longer amongst us, but will very much be at the heart of today. 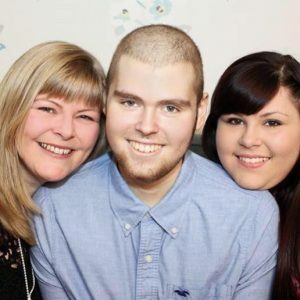 Jak’s Journey was set up by my beautiful son Jak Trueman in September 2014 after he awoke from a medically induced coma after taking very unwell with what was diagnosed as Gama Delta T-Cell Lymphoma-a rare and aggressive form of cancer. Sadly after an amazing fight and show of strength courage and determination beyond his years and unending thought for others, Jak lost his battle on 2nd February 2015. Jak’s passing will not be in vain though as he set out clear requests to help others through Jak’s Den. Jaks Journey page will continue keeping everyone up to date with all Jak’s plans and how his family and friends and new Charity Trustees being set up are making Jak’s wishes a reality. Jak’s passing will not be in vain. I’d still have my boy over any of this in a whisper but there is a higher purpose in all of this to touch many lives in so many ways because of my boy and we will make sure many many other children teens and adults are helped because of Jak. I first knew of Jak’s journey when friends started to share his fundraising work in 2015. A friend, Teresa (who I’d met when we both waddled into antenatal classes together and then spent 5 years with our little ones at nursery) asked me about making a fingerprint charm for her friend Allison, mum of Jak. When we first started to arrange this we hadn’t realised how quickly Jak’s health would decline, and sadly Jak passed away. But this didn’t stop us! Taking impressions after someone has passed was something I offered and Allison was still able to capture Jak’s prints. Fingerprint jewellery is such a subtle and discreet way to hold onto a memory. 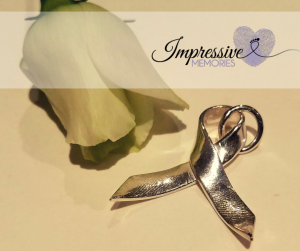 Our fingerprints are as unique as we are and being able to capture, keep and cherish Jak’s prints has brought comfort to many of his family. Photo credit – Allison Barr. We shared funny moments about handbag contents and watched the amazing achievements so far that have been done at Jak’s request. Allison makes it look so easy as she stands and shares their journey. There are plans now to open more Dens, one here in Glenrothes and another in Aberdeen, to support more families across Scotland. An online facility for those who can’t meet in person is also in the pipelines. This family don’t do things by half! As we drank coffee and enjoyed a sandwich we were entertained by a fashion show or we could browse the local business stalls – Bodyshop, Cherished by Lynsey, Impressive Memories, Robyn Rocks, Scentsy, Crystals and jewellery. Well done and thank you to Allison and Team Jak for a lovely afternoon. ← What should you consider when buying miniaturised cast jewellery?